The Dream is in the Crate! 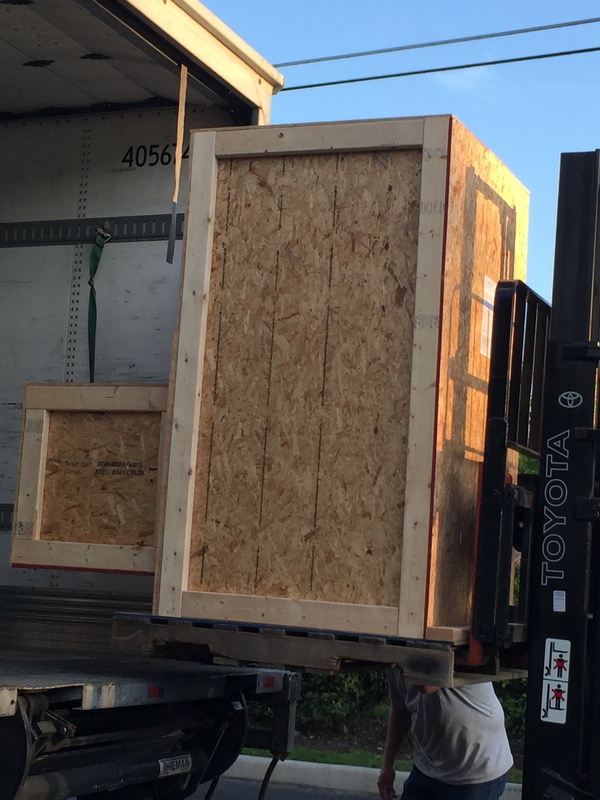 I’m sure you’re wondering what’s in the huge crate. Let me explain it’s at least 14 years of strategy hopes, dreams, disappointments, conflict, resolution, restoration, education, international adventures, failure, ultimate creativity and global relationships. But even more than that its over 30 years of the culmination of my fashion and advertising career and my work with artisans globally. This crate is where courage and preparation meets opportunity, and anything is possible. I placed it on a truck for an undisclosed location, and I cried at what it represents. Next week we will unveil my newest project to the world. As I travel to the airport today to follow the crate and began to weep, there so much emotion wrapped up in this full circle moment I can only wonder how I got to this place. I’ve been crying a lot lately! As I think of those words from Dr. Suess “Oh the places you will go” I wonder if all of this work and my skills talent and abilities have been refined and honed for such a time as this. A time when refugees are roaming the streets in many of the countries where we work. A time when we are recognizing the true cost of global goods. A time when women are being attacked and brutalized at record rates. A time where finally, all are recognizing that money put into the right women’s hands, changes everything. Change is good, and I still believe that Bajalia is making a difference. We have the proof, we have their words, we have graduation certificates of girls who have graduated as the first in their family lines, and we have their stories of growth, community support and healing. I must admit my excitement is shrouded in a bit of fear as well, what if this project it a huge failure, or even more scary what if its a huge success? Will we be ready? Come what may we are ready for this next step. How do I know, because it is here, and the one thing I have learned over the last 14 years is to keep walking through the doors that open to us. If they don’t open keep knocking until they do. And when they open success or failure, they will lead to the next steps, the next project and the next dream. When I think of how many times I could have given up on this dream, I realize walking through the pain, the sacrifices, the challenges, the failures were all worth it no matter the outcome. Success for me is defined by obedience not dollars. I have always understood this dream was planted in a moment of divine intervention. I know that without a doubt, as a dream I concocted would have been easier to shrug off. As for my dream it came in thousands of small steps, and I said yes one at a time. So I ask you what is your dream, what are you willing to sacrifice for, what are you willing to walk through to get there? What if others were depending on your dream for their survival, can they count on you? Please take that step, the world needs what you have to offer. I leave you with the words of Winston Churchill, “Never, Never, Never, Never, Never Give up”.